Fall is definitely here and I’m full embracing the colors and fabrics. I do feel that I can better use my budget by picking things out myself and finding good deals. Stitch Fix has high prices if you’re not keeping all 5 items and I just haven’t been happy with the picks lately. I’m also not loving any of the chosen items for the upcoming Golden Tote and think I’ll skip it. 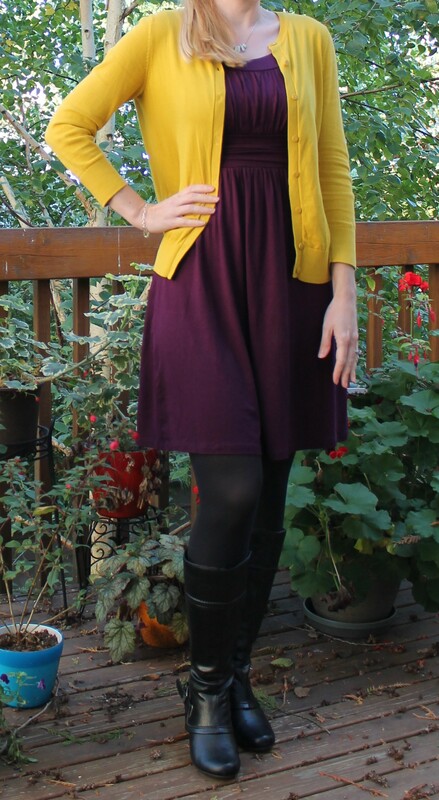 Plum and mustard is my favorite fall combo of colors. 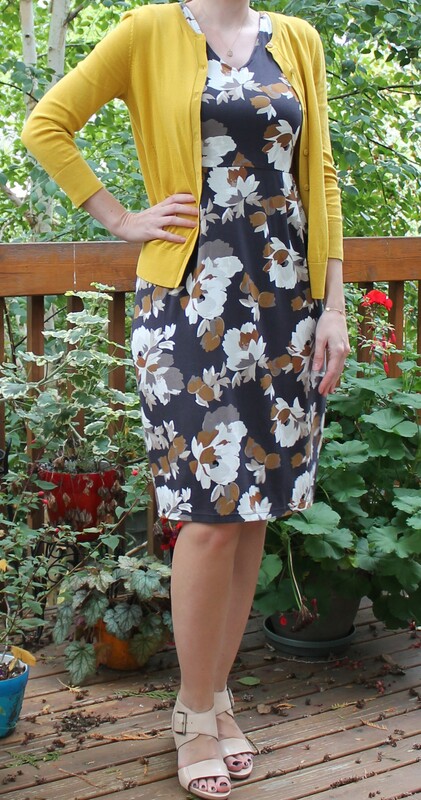 The dress is a soft knit and I’ve seen a lot of people get this dress from Stitch Fix. Since I wasn’t getting what I asked for I just went directly through ModCloth. Target has some really cute fall stuff right now. I found this dress along with a few sweaters that I picked up last week. 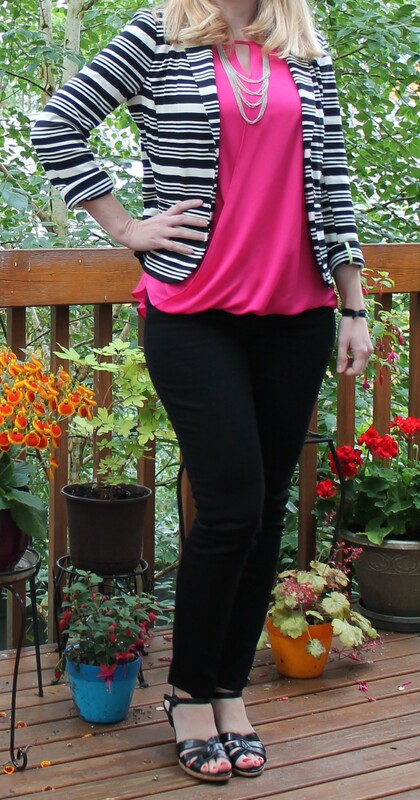 I paired this with old grey boots and the faux leather jacket I got from my last stitch fix. I also picked up this rust colored bohemian style top from Target. Very soft and flowy. Again, loving the combo with mustard in the fall. This dress is quite flattering and I got it for only $10 with sales and rewards! Love the colors of this one too. The cowl neck top is flattering for a pear shaped body. 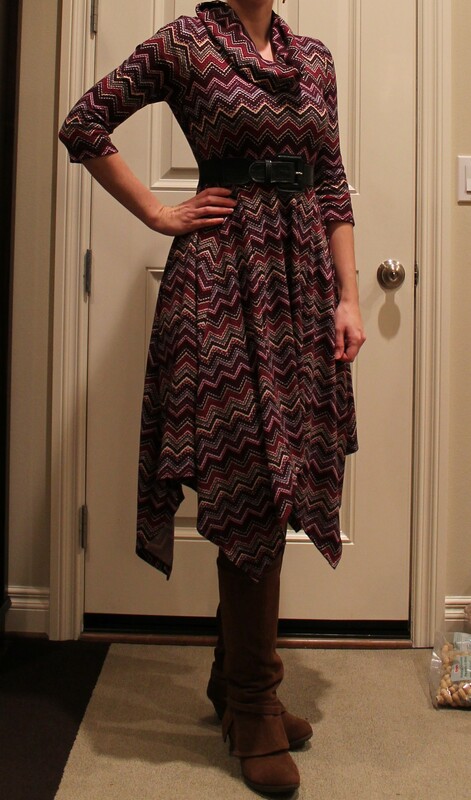 This is one of my favorite new fall dresses. It’s a silk fabric and the color is so rich. Paired with a cardigan from Loft. The color of this is much nicer in person than on the website. It’s a deep orange. 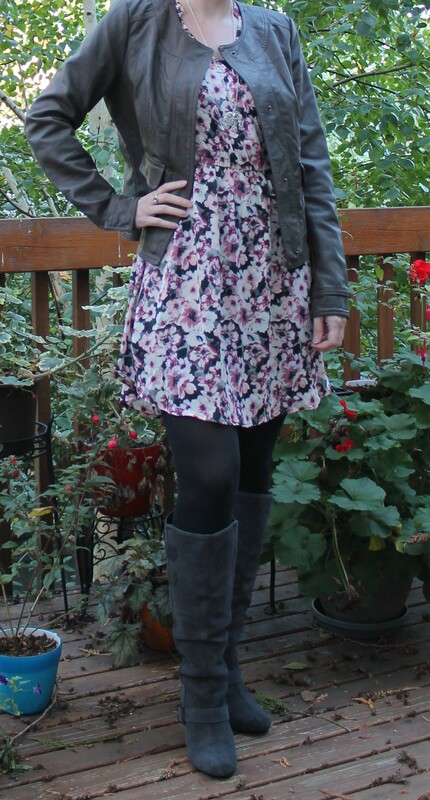 The silky fabric is nice and flowy and I paired it with a knit military style jacket from Old Navy. This is an old navy sweater, paired with an older scarf I got from a PopSugar Must Have box, a watch from Charming Charlie, and the flats are Crocs. LOVE this dress. The fabric, the pattern, everything. I can see me wearing it in winter with black tights. This dress is fun for work and felt very office appropriate. Looks a little shorter here than it felt on. 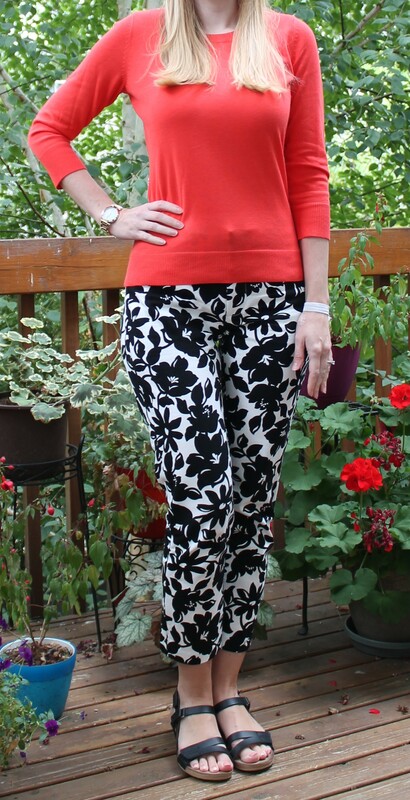 I got these curvy Capris from Elle at Kohls last year and was so happy to find curvy fit pants that were cute. I paired them with this red sweater from Banana Republic. The best part of this outfit is the shoes. They are a nice low heel and I love the details. The jacket is older and the red shell is from Golden Tote as a surprise item. Jeans from Old Navy. I’m loving the new curvy skinny jeans, after I washed these they were a bit more fitted. I’ve been really bad about posting what I’ve been wearing lately, so here are a few things I wore in December. I took this picture on our “Snow Day” we had here a few weeks ago. We only got around an inch, but everyone was freaking out and all the schools were closed. Most of my co-workers flaked out and didn’t show up, but being from the Midwest originally I didn’t really mind and went in anyway. Usually the biggest threat when it snows here is other inexperienced drivers, but I just watch out for them. 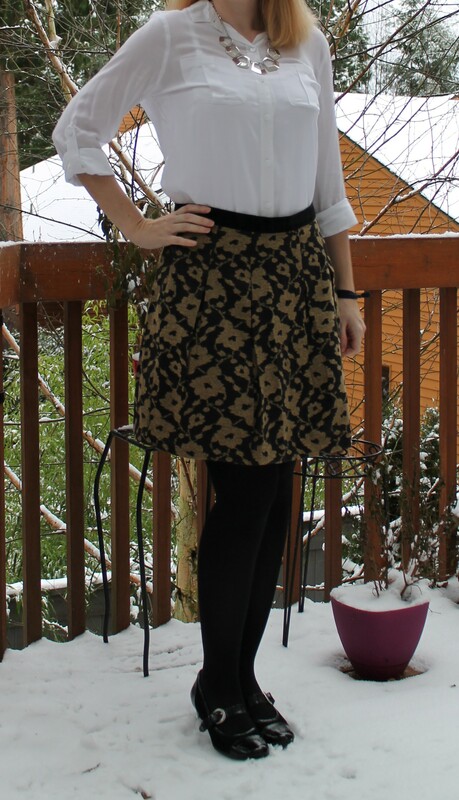 The skirt is from Ann Taylor Loft, and the blouse is from Old Navy. The thing I loved the most about this outfit was the shoes. I love those sparkly flats! 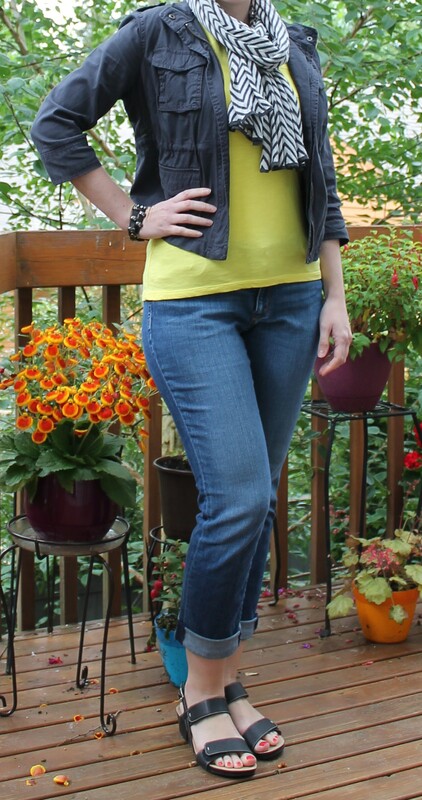 The jacket was from Ann Taylor Loft, and the tee was from JCrew. This is one of my favorite dresses and I’ve had it for a few years. I love the asymmetrical hem and the pattern. It’s also a nice soft material and great for the winter time. We were having some pretty chilly weather this December so this kept me warm with the tights and boots. This is one of my favorite color combos with mustard and black and white. 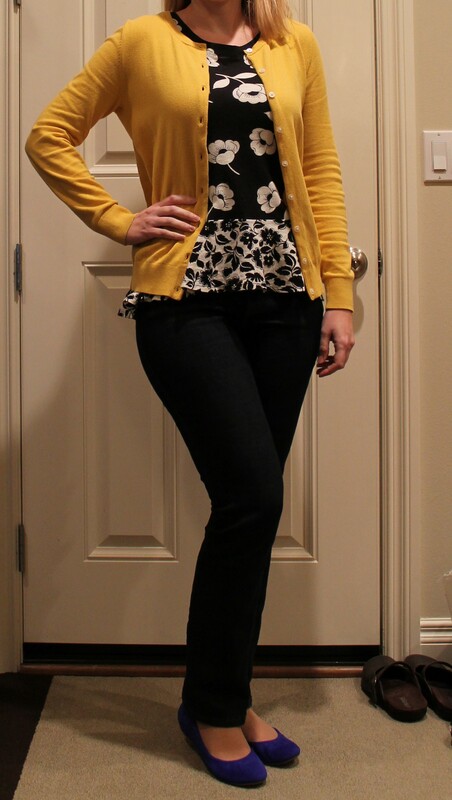 The top is from Anthropologie, and the sweater is from LOFT. I also really love these flats I got at DSW. Comfy and electric blue. 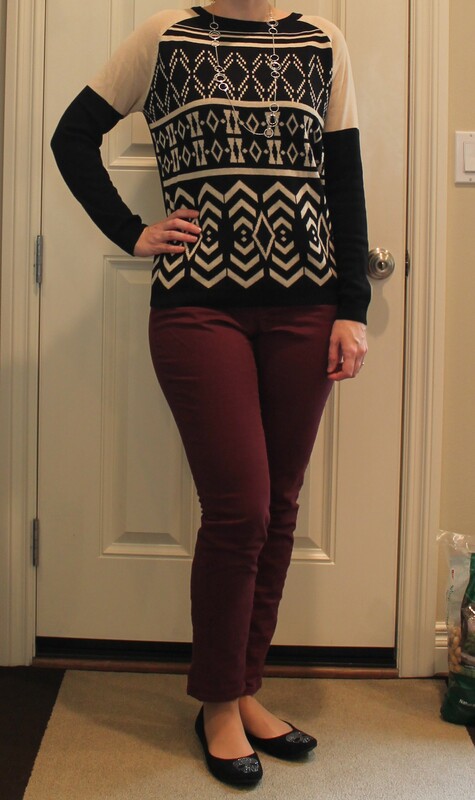 I got this sweater from Piperlime last winter, and like it paired with these eggplant skinny jeans and these awesome skull print rhinestone studded flats. I wore this blanket sweater on one of our cooler days here and was nice and toasty! I think I got this from ModCloth. I also really love this skirt. 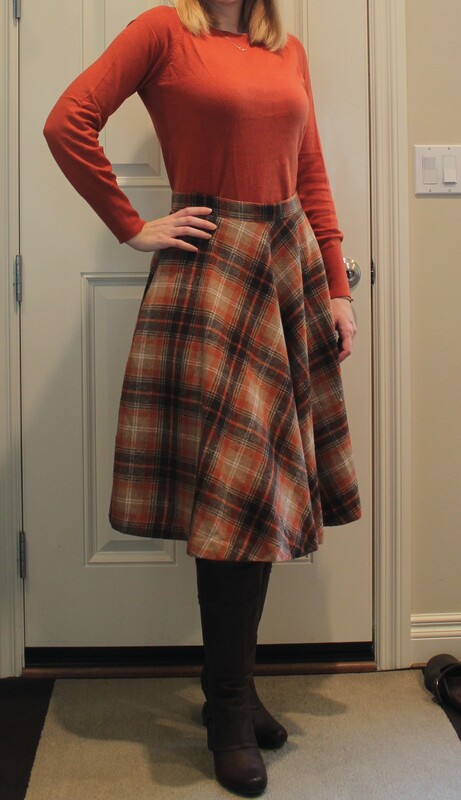 It’s a nice long wool skirt that keeps me toasty and I paired it with this rust colored sweater from Target. 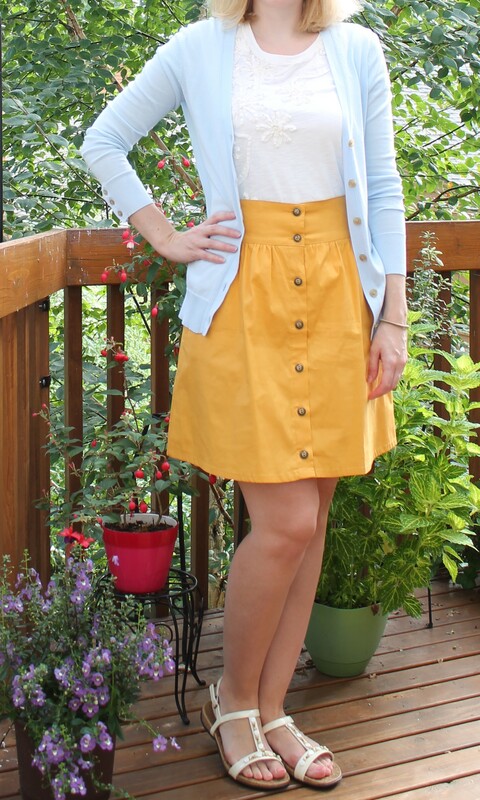 The skirt was from ModCloth. I was almost able to finish out my week of polka dots, but ran out of viable options after Thursday. This was the new red with white polka dot dress I wore on Thursday. Red with white polka dots, being my second favorite pattern right after navy with white. On Friday I wore one of the tops I kept from my last Tog + Porter box paired with an older dusty rose jacket and some white capri jeans. When I tried on this navy polka dot top from Modcloth last night, I knew I had to wear it the very next day. Not only was the pattern lovely, but the cut is a nice peplum shape and the fabric drapes nicely. 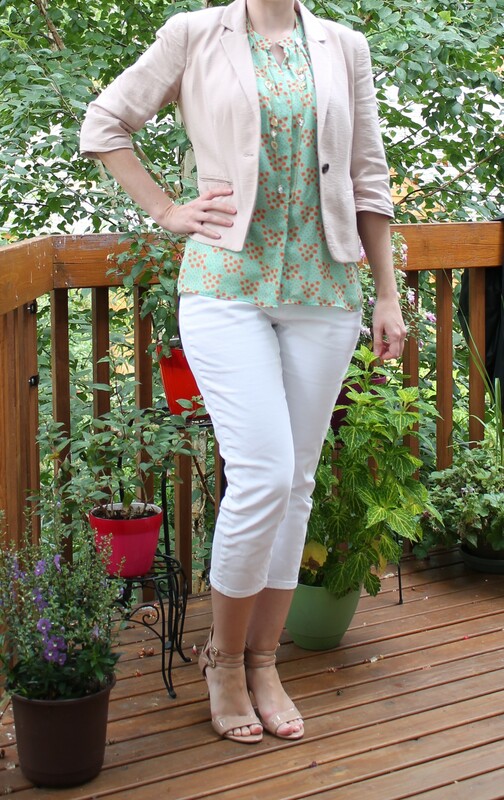 I paired it with a wide brown leather belt, my white linen blazer from Nordstrom, some cute red sandals and voila! Perfect outfit to beat the Monday blues. Did it make my day a little more awesome? I’d like to think so.